PAUL BELLINGER PHOTOGRAPHY: BILLINGS MONTANA WEDDING PHOTOGRAPHER - INSTAGRAM ALERT! BILLINGS MONTANA WEDDING PHOTOGRAPHER - INSTAGRAM ALERT! 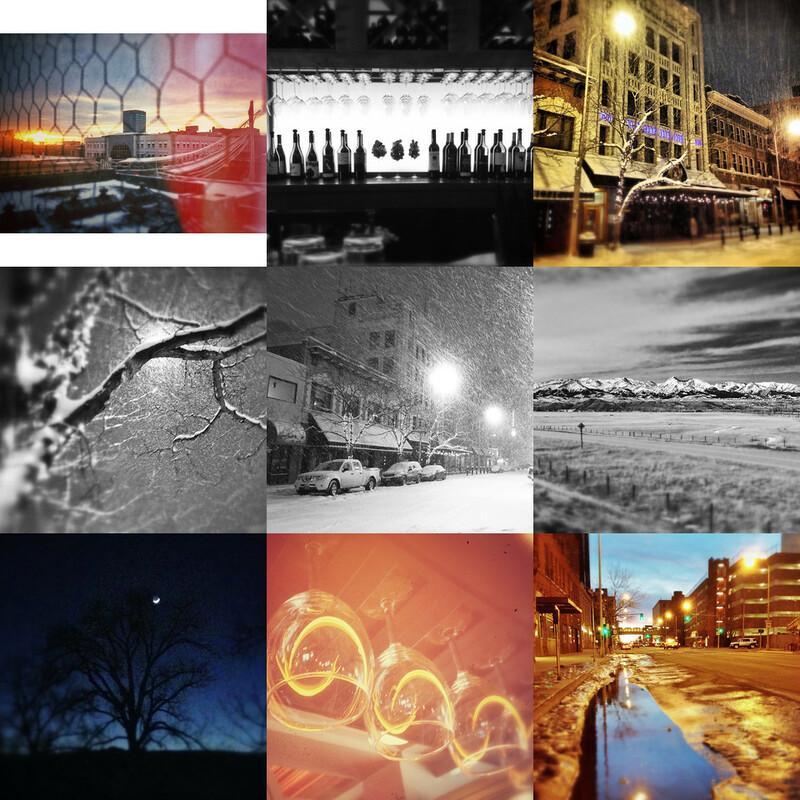 A few of my instagram highlights from this winter so far. You can follow me on instagram @PJBellinger. You can view my previous instagram alert here. I am a wedding photographer, but I love all types of photography and never leave home without my camera. Like one of my mentors, Chase Jarvis, I think the best camera is the one that’s with you, and more often than not, that’s my iphone. Instagram is my primary outlet for iphonography and it pushes updates to Twitter (@paulbellinger) and facebook (@pjbellinger). So find me on one of those places and enjoy! All of these photos were taken in my awesome new home state of Montana. In the top row from left to right: a view of Skypoint in downtown Billings from my studio; the wine bar at Bin 119 in downtown Billings; the Montana Power Building (where my studio is) on a snowy night in downtown Billings. The middle row from left to right: A tree on Broadway on a snowy night in downtown Billings; The Montana Power Building and my truck; the Crazy Mountains near Livingston Montana. The bottom row from left to right: A moonlit tree at the Jarecke estate near Joliet Montana; wineglass light at the Brew Pub in downtown Billings; a snowmelt puddle on first street in downtown Billings.